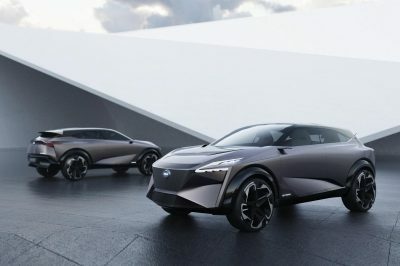 Geneva, Switzerland (March 6, 2019) – Nissan today unveiled the all-new IMQ concept vehicle, an advanced technology and design showcase that signals the direction of the next generation of crossovers. Unveiled at the Geneva International Motor Show, the IMQ seamlessly blends Japanese heritage with state-of-the-art, human-centric technology. 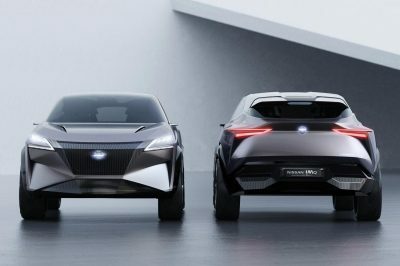 It incorporates the latest innovations that bring to life Nissan Intelligent Mobility, the brand’s vision for the future of automotive transportation. Its styling reflects Nissan’s role as a pioneer and leader in crossovers, with a striking look that pushes the boundaries of what a European crossover can be. At the heart of the IMQ is the next generation of e-POWER, a 100% electric motor drive system that delivers instant, linear acceleration. It has been further developed from the e-POWER technology currently available in the best-selling Nissan Note and Serena models in Japan. In the IMQ, it delivers a total output of 250 kilowatts and 700 Nm of torque. This high output is channeled through a new multi-motor all-wheel-drive system, delivering precise and independent control of each wheel. The combination of e-POWER and AWD is ideal for low-grip conditions, such as the snowy alpine roads outside Geneva. 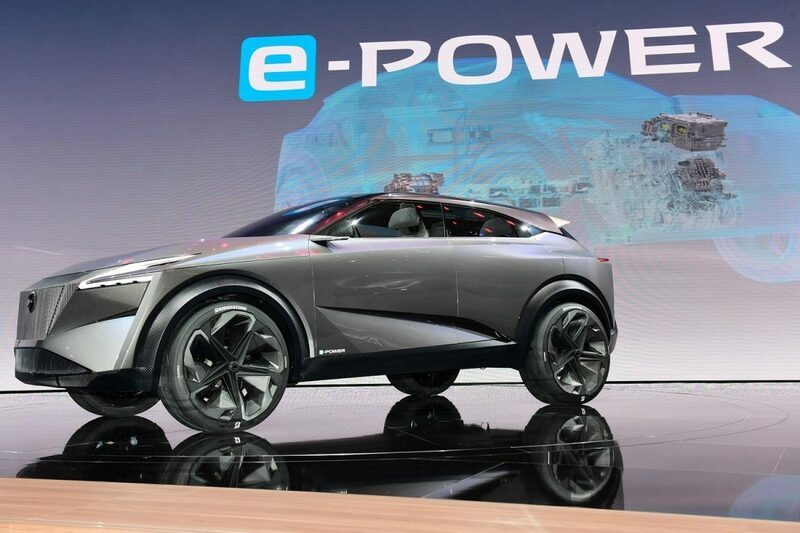 The IMQ offers additional insights into Nissan’s technology vision. It’s equipped with an advanced prototype version of Nissan’s ProPILOT* driving assistance system which can offer enhanced autonomous driving capability. The model also features Nissan’s Invisible-to-Visible technology, unveiled in January 2019 at the CES trade show. The IMQ’s dimensions place it at the center of the European C-crossover segment. It demonstrates a clean and effortless design, with the exterior and interior merging as one. This is most striking in the lines of the greenhouse, designed to give the impression of a single continuous surface. The IMQ marks a bold new direction in Nissan’s design language. It builds on the Nissan badge, integrated into the V-motion grille, which has been given a deliberately more subtle execution. The grille blends vertically into the hood and horizontally with the front bumper to create strong corners at the outer edges. The hood features striking chrome-edged cuts as the fender rises from the wheel arches and tucks under the central section. At the rear, a vertical character line drops from the light cluster to separate air as it passes down the side, aiding aerodynamic performance. At its upper end, it’s integrated into a new slim line interpretation of Nissan’s “boomerang” lamp cluster. 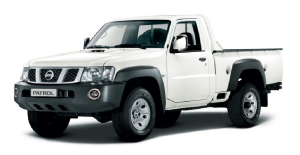 The single-piece tailgate tucks under the rear fenders, echoing the design of the hood. Closer inspection reveals extensive use of three-dimensional ridges on the darkened lower sections of the exterior. These detailed layers – known as lamellas – are evocative of Japanese traditional design and extend all around the car. The exterior is completed by 22-inch alloy wheels with bespoke Bridgestone Connect tires. These “smart” tires communicate information to the driver via the graphical user interface. Data transmitted includes tire load, pressure, temperature, grip level, wear and tire health. This helps the IMQ automatically calibrate its in-car control systems to work optimally. The Japanese design themes, blended with contemporary technology, continue inside. The IMQ’s doors are hinged at their outer edges and open to reveal a futuristic, spacious interior, featuring four individual seats that rise seamlessly from the lamella-covered floor, which provides a visual link to the exterior. 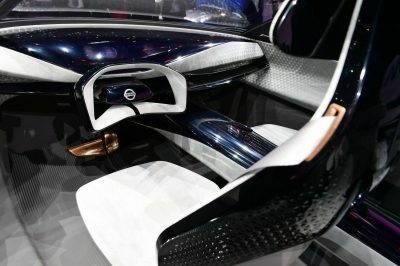 Nissan’s familiar “gliding wing” instrument panel dominates the front of the cabin, with a center console emerging from beneath and stretching back between the front seats into the rear. Each sculpted seat is finished in a two-tone 3D technical fabric, laser-cut in a geometric design inspired by Japanese kumiko woodwork. The pattern is replicated on the instrument panel, door trim and parcel shelf, as well as the rich metallic finish of the seat back. Lamellas have also been integrated into the door trim and seat back uppers as headrest supports. Everything about the IMQ’s interior is focused on the driver. This is demonstrated by the graphical user interface, dominated by an 840-millimeter screen embedded in the instrument panel. It’s completely black - like a smartphone - when powered down, but when powered up, it comes to life to provide e-POWER status and other vehicle information. Further use of the black lamellas is always visible behind the screen. A smaller, secondary screen above the center console hosts the IMQ’s Virtual Personal Assistant. 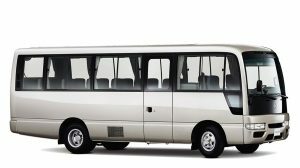 It enhances the driving experience by controlling vehicle functions, such as navigation, in response to input from the driver. The steering wheel is ergonomically shaped to put the driver in a relaxed position and to maximize the visibility of the instrument panel. Advanced, “soft-touch” paddle shift-style functionality is built into the back of the wheel. The IMQ is equipped with Nissan’s Invisible-to-Visible (I2V) technology, a 3-D interface where the “real world” converges with the virtual world. Developed by Nissan, I2V helps vehicle occupants see what may otherwise be invisible, adding confidence and excitement to the driving experience. 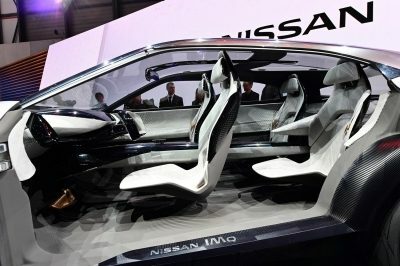 The opportunity to “see the invisible” is made possible with Nissan’s Omni-Sensing technology which connects the IMQ to real-world sensing information inside and outside the vehicle’s cabin, combined with information from the virtual world, displayed before the driver and passenger for a rich mixed-reality experience. The technology can help drivers see around corners, visualize precise information about traffic jams – including causes – and determine alternative routes for a stress-free journey. Drivers may even enjoy the company of a virtual passenger, in the form of a 3D augmented-reality avatar inside the car. Nissan’s commitment to an autonomous future, as laid out in the Nissan Intelligent Mobility vision, is also reflected in the IMQ. The car is equipped with an advanced prototype ProPILOT driver assistance system, assisting drivers on urban streets and suburban highways. This is possible due to an array of advanced sensors, radars and cameras located throughout the car that can interpret road, traffic and information signals for a smooth and confident ride.